Vatican City, Jun 16, 2017 / 09:32 am (CNA/EWTN News).- On Friday, the Vatican announced Pope Francis’ pick of human rights expert Fr. Bruno-Marie Duffé for secretary of the Dicastery for the Promotion of Integral Human Development, making him the final piece of the leadership puzzle for the new department. From the French diocese of Lyon, Fr. Duffé’s appointment completes a period of development for the dicastery, which went into effect Jan. 1 and combines the former Pontifical Councils for Justice and Peace, Cor Unum, Migrants and Itinerant Peoples, and Healthcare Workers. The new mega-dicastery is headed by Cardinal Peter Turkson, who since March 2013 had served as president of the Pontifical Council for Justice and Peace. Francis also formed a special Migrants and Refugees Section within the dicastery, with himself as head, at least for the time being. With Fr. Duffé’s appointment, the leadership of the dicastery is finally complete. Previously, Fr. Duffé was a member of the Pontifical Council for Justice and Peace. Born on Aug. 21, 1951 in Lyon, France, Fr. Duffé, 65, was ordained a priest for the Archdiocese of Lyon in 1981. He holds a doctorate in political philosophy, a master’s in theology, and a diploma from the School of Advanced Social Studies of Science and the Institute of International and Development Studies in Geneva. 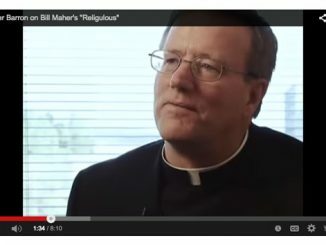 He’s been a professor of moral theology and social doctrine of the Church at the Catholic University of Lyon and the Jesuit Center of Baume lex Aix since 1982. From 1985-2004 he co-founded and later directed the Institute for Human Rights at the Catholic University of Lyon, actively contributing to the creation of the UNESCO Chair on minority rights. He served as chaplain of the Regional Center for Cancer Control from 2004-2014, and co-chaired the Ethics Committee at Léon Bérard. Episcopal Vicar of “Family, Health and Society” since 2012, he works on the Diocesan Council of Solidarity, created in 2013. He also initiated a coordination for the migrant crisis for the Diocese of Lyon. From 1999 to 2015 he visited Haiti, Rwanda, Kosovo, Ukraine, Algeria, Cameroon, Israel, and Palestine. In some of these countries, he accompanied groups of young people, students and teachers. He speaks French, English, Spanish and Italian. While the original name of the new congregation for Integral Human Development was initially expected to include the elements of the councils it will merge, the final choice is a reflection of Pope Francis’ own personal style and is reminiscent of themes he has spoken of frequently since his election. 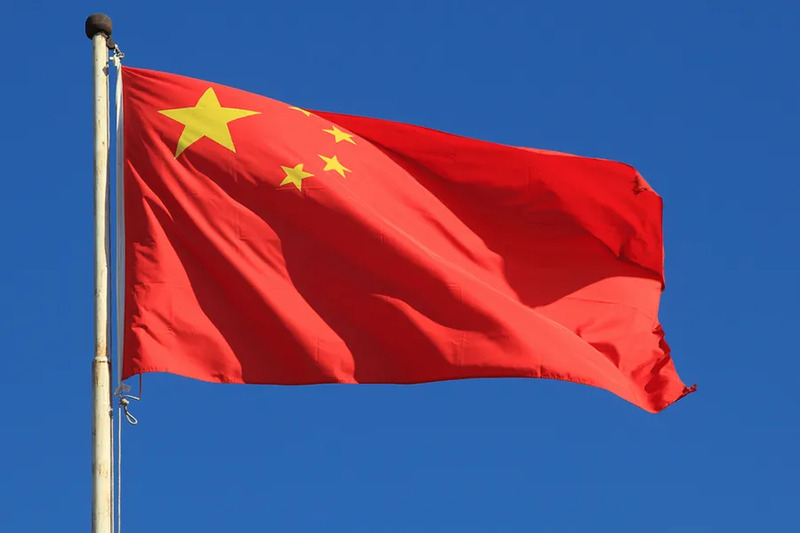 Washington D.C., Mar 23, 2018 / 09:47 pm (CNA/EWTN News).- As the Chinese government tightens control over religious groups in the country, experts caution that the country seems positioned to further restrict religious freedom, following the model of government-run social media. While introducing more restrictive rules on religious practice, President Xi Jinping’s repeatedly stated goal has been the “Sinicization” of religions, or to diffuse “religious theories with Chinese character” into the five official religions supervised by the government, including the Chinese Catholic Patriotic Association. On March 22, China instituted a major change in its religious oversight by abolishing the State Administration for Religious Affairs and shifting direct control to the Chinese Communist Party’s United Front Work Department (UFWD). As a result, the Chinese Catholic Patriotic Association will now be under the day-to-day direct supervision of the Chinese Communist Party (CCP). This is similar to another bureaucratic change in China earlier this week, that gave the CCP direct control of movies, television, books, and radio. “They are folding the state into the party … It is one thing when the party does that with regards to the media, but there is something particularly ironic now in the sense that you have a department of an avowedly Marxist atheist communist party that is going to be managing religious affairs,” said Freedom House’s Senior Research Analyst for East Asia, Sarah Cook. “Now the Bishops’ Conference is even less explicitly autonomous and more clearly directly managed by an atheist communist party department,” said Cook. This change could result in more pressure for religious entities in China to make clear that their first and foremost allegiance is to the party and not to their religion. The UFWD is the CCP’s “soft power” instrument for “winning the hearts and minds” for China’s political goals at home and abroad, according to the Financial Times. It seeks to manage groups outside of the CCP, including Hong Kong, Taiwan, Tibet, Xinjian, ethnic minorities, and religious groups. The UFWD is “basically trying to make sure that these entities are also in some way following the party line even though they are not part of the communist party itself,” explained Cook. China has long been known for its strict control of information, through means including internet access restriction and the creation of alternative social media platforms that are completely controlled by government surveillance and censorship. So while Twitter is inaccessible in China – blocked along with Google, Facebook, and YouTube by “the Great Firewall” – one can express himself in 140 characters or fewer on the Chinese website “Sina Weibo” instead, as long as the message is not critical of President Xi Jinping. Critics fear this model could increasingly be adopted in the realm of religion as well. The Vatican has been in negotiations with Xi’s regime on the appointment of bishops. 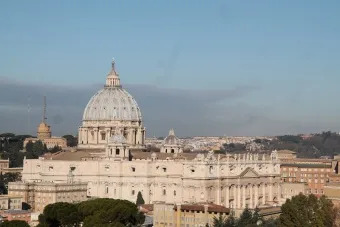 Some speculate an agreement will resemble the Vatican’s deal with Vietnam, in which the Holy See picks bishops from a selection of candidates proposed by the episcopal conference, which, as of this week, is more directly controlled by the CCP. As the Vatican considers the possibility of a deal with the Chinese regime, China-watchers are warning technology companies that engaging directly with the Chinese government could lead to their complicity with censorship and surveillance, or lead to the arrest of Chinese citizens. One early example of this was Yahoo, which provided sensitive information about writers to the Chinese authorities. More recently, Apple removed VPN software that helped Chinese citizens circumvent its Great Firewall from its China App Store. Formerly, technology “companies had good faith that by going in there [China] they really were helping to provide these open platforms for communication … It would be very difficult to make that argument right now,” explained Shanthi Kalathil, the director of the International Forum for Democracy Studies at a panel on PEN America’s new report on social media censorship on March 19. “All of the trends are pointing in a negative direction. The intent of the Chinese government is clear that anybody that does go in will absolutely not have the space to provide what these companies may profess to be providing on paper. We know enough now about both the censorship machine as well as Xi Jinping’s intentions – I think that’s been made quite clear,” continued Kalathil, referring to the increase in censorship, surveillance, and punishment of Chinese social media users in the past three years. China has increasingly used its control of domestic social media alternatives to criminalize internet users who express dissenting opinions. In China, people talk about how “it used to be that we afraid that our account would be closed or our posts would be deleted. Now we are afraid that we are just going to be taken away. Some are sentenced to administration detention for a few days, but there are a good number of people who have been sentenced to very long prison terms,” Cook said at the panel. The trends in freedom of religion are similarly pointing in a negative direction under Xi Jinping. An analysis published by a Chinese Communist Party think tank scholar in 2012 identified both religion and “internet freedom” as future threats to China’s rise. The years that followed saw crackdowns on both freedom of the internet and religious freedom. No member of the Chinese Communist Party is allowed to practice a religion. In March, the same parliamentary meeting that gave Xi Jinping lifelong rule also granted the atheist Communist party direct oversight of the Chinese Catholic Patriotic Association. According to the latest reports, a deal between the Vatican and Beijing could be signed as early as next week. Vatican City, Jun 27, 2017 / 07:16 am (CNA/EWTN News).- On Tuesday the Vatican announced Pope Francis’ pick of Mons. Alfred A. Schlert to be the next bishop of the Diocese of Allentown in Pennsylvania, himself born and raised in the diocese. Bishop-elect Schlert, 55, fills the vacancy left when his predecessor, Bishop John Oliver Barres was appointed to the Diocese of Rockville Centre, New York at the end of January. “He is primarily a loving pastor with an insightful and compassionate pastoral charity and a non-stop New Evangelization missionary spirit,” the statement continued. Mons. Schlert, who was born and raised in the Diocese of Allentown, has been serving as Diocesan Administrator of Allentown since Bishop Barres’ move to New York. It is the first time a priest of the diocese has been named its bishop. Bishop-emeritus of Allentown, Edward P. Cullen said that the people of the region have received “a great blessing” with the appointment of Mons. Schlert. “The formation he received in the seminary of Saint John Lateran in Rome brought out in his heart and soul a powerful love for all of God’s children,” Bishop Cullen said in a statement June 27. Bishop-elect Schlert will bring “prudence and sound judgement to every aspect of the pastoral life of the diocese,” he continued. Bishop-elect Schlert was born in Easton, Pennsylvania on July 24, 1961, just six months after the Diocese of Allentown was formed. He attended both Catholic grade school and Catholic high school before entering Saint Charles Borromeo Seminary in Overbrook. He also studied theology at the Pontifical Roman Seminary and the Pontifical Lateran University. He was ordained a priest at the Cathedral of Saint Catherine of Siena in Allentown on Sept. 19, 1987. 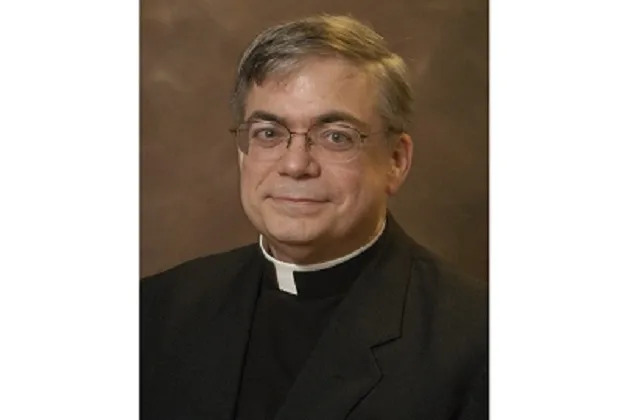 He served as assistant pastor of St. Francis of Assisi Church in Allentown, and as a professor at his alma mater, Notre Dame High School, and as the Catholic chaplain at Lehigh University. In 1992 he completed graduate studies at the Pontifical North American College and Pontifical Lateran University in Rome, receiving a Licentiate in Canon Law from the Pontifical Lateran University. Mons. Schlert was named Vice Chancellor and Secretary to Bishop Thomas Welsh in 1997. From 1998-2008 he was in residence at the Cathedral of Saint Catherine of Siena while serving as Vicar General of the diocese under Bishops Edward Cullen and John O. Barres. In this position he oversaw the coordination of all the administrative offices of the diocese. He was given the title of monsignor by Pope St. John Paul II in 1999. Benedict XVI named him a Prelate of Honor, the second highest rank of monsignor, in 2005. While Vicar General, he was also pastor of St. Theresa of the Child Jesus Church in Hellertown from July 2008-Feb. 2010. His ordination and installation as bishop will take place at the cathedral on Thursday, Aug. 31st. In addition to English, he also speaks Italian. Bishop-elect Schlert “loves the People of God of the Diocese of Allentown,” Bishop Barres stated.